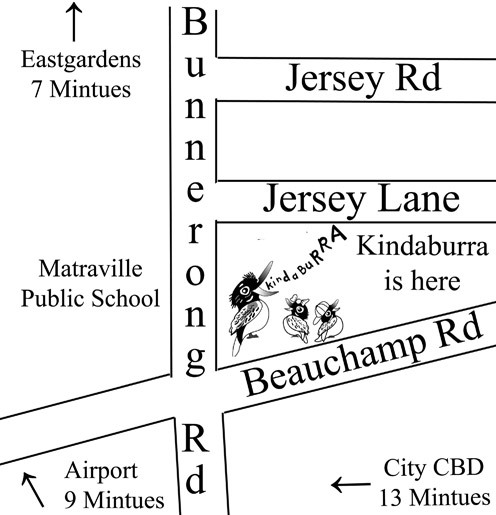 Kindaburra would like to invite you to make an appointment to come in for a tour around the centre and meet our teaching team. Please email director@kindaburra.com.au to arrange an appointment. Bring your child and family with you. This session will enable your child to join in play-based activities with other children, meet the teaching team, experience being part of our learning environment and provide an opportunity for you to ask questions and get the feel of the centre. Please note that early enrolments are available. An early enrolment allows parents to lock in their child's position months or even years in advance so that they can effectively plan for the future. Please let us know if you would like to enrol your child in advance. On enrolment, Kindaburra orientation will be scheduled. Our orientation process is designed to establish a relationship between parent, child and teacher. The session is conducted on 1:1 basis. During this session we focus on your child’s individual development and learning. We get an insight into your child's needs, routine, interests as well as your expectations. All of these things help us to form a basis for planning goals for your child.